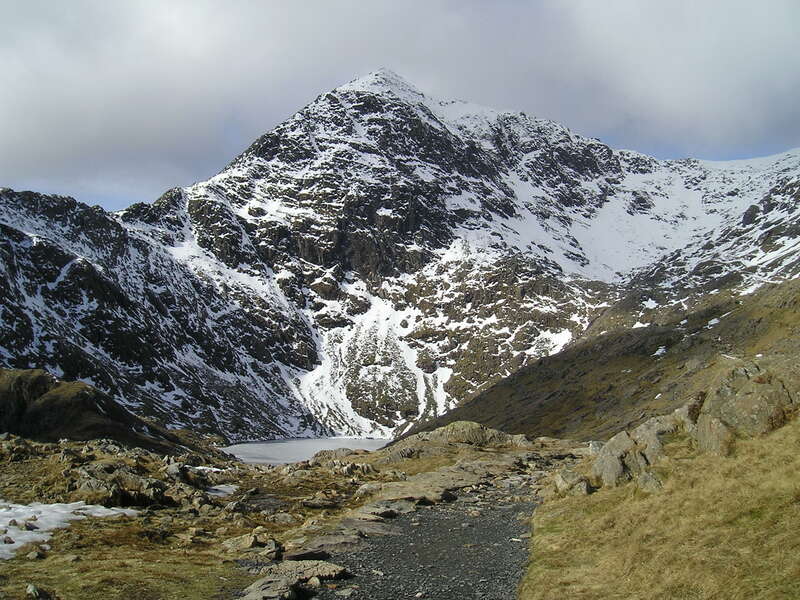 I can still remember the first time I saw Snowdon (or to use the correct Welsh name, Yr Wyddfa). 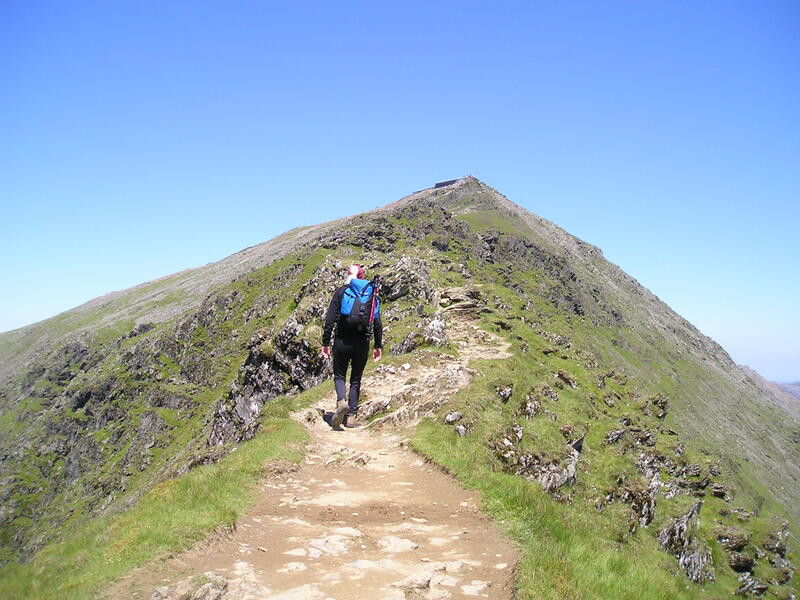 I was eighteen and had started hill-walking about 1½ years earlier. After a three-hour drive, we finally arrived at the campsite at two o’clock in the morning. Above us towered Crib Goch and Clogwyn y Person, and although the night was pitch black, the moonlight on the snowy peaks left us in no illusion that these were much bigger mountains than the ones we were used to. 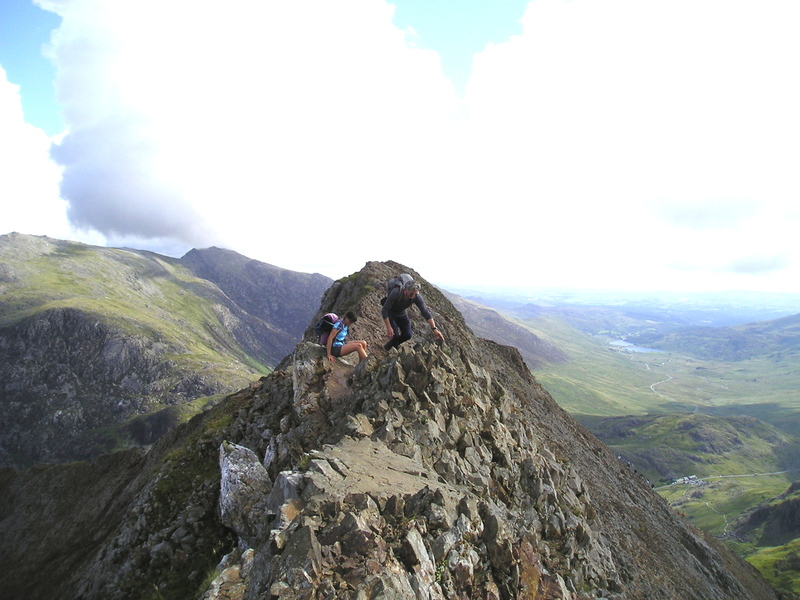 The next day we did the Snowdon Horseshoe, and despite a large degree of inexperience and naivety, we managed to get round without any mishaps. Since then I’ve been a regular visitor, winter and summer. 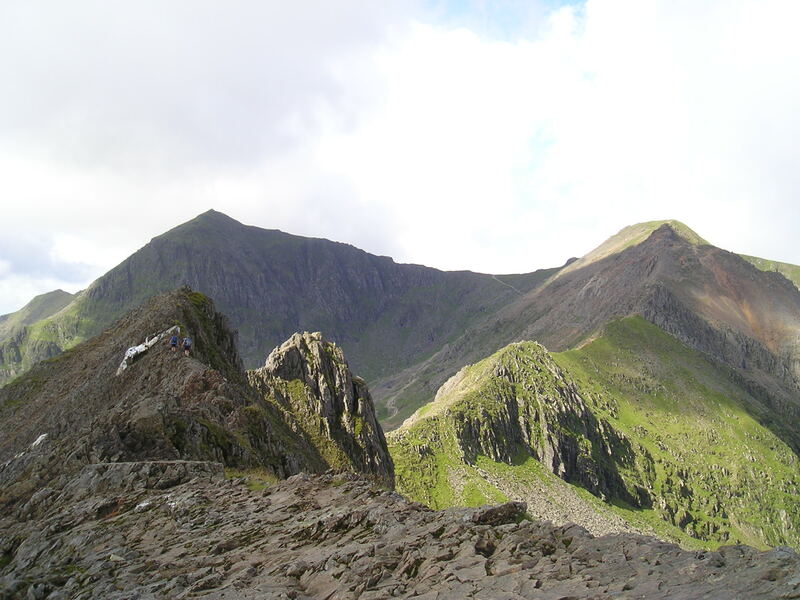 Yr Wyddfa rises 1085 metres (3560 feet) above sea level, and is a mountain that can’t be ignored. 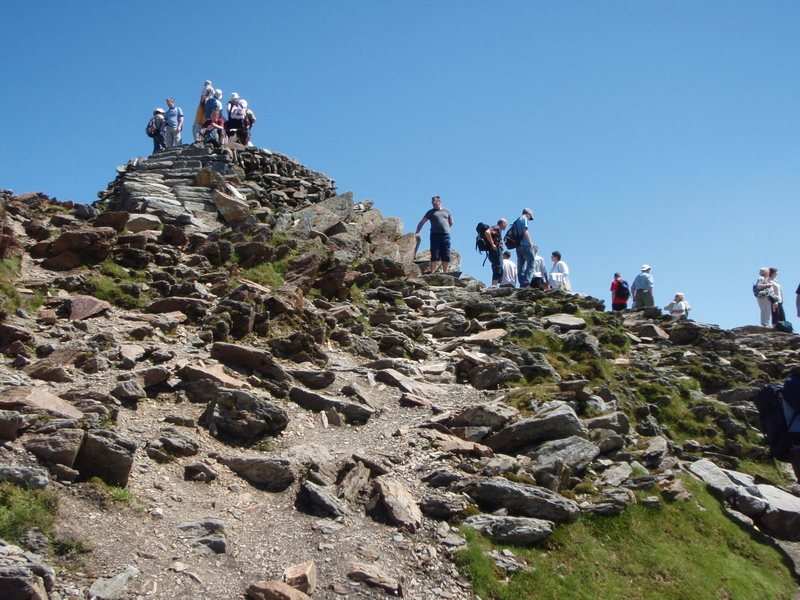 As the highest peak in Wales, and also higher than anything in England, it attracts both admiration and disapproval as well as thousands of visitors; it has been described as the busiest mountain in Britain. Legends about the mountain stretch back into ancient history. Yr Wyddfa, means The Tumulus or Grave, and is said to be the last resting place of Rhita Gawr. Rhita’s main claim to fame was his cloak, made up from the beards of the kings he had killed. As Rhita was a giant and presumably had a large cloak, we can assume he had killed a good number of kings, but eventually his luck ran out. He had decided he needed King Arthur’s beard to add to the collection, but Arthur wasn’t having any of it, and after killing Rhita he had him buried under a cairn on the mountain. 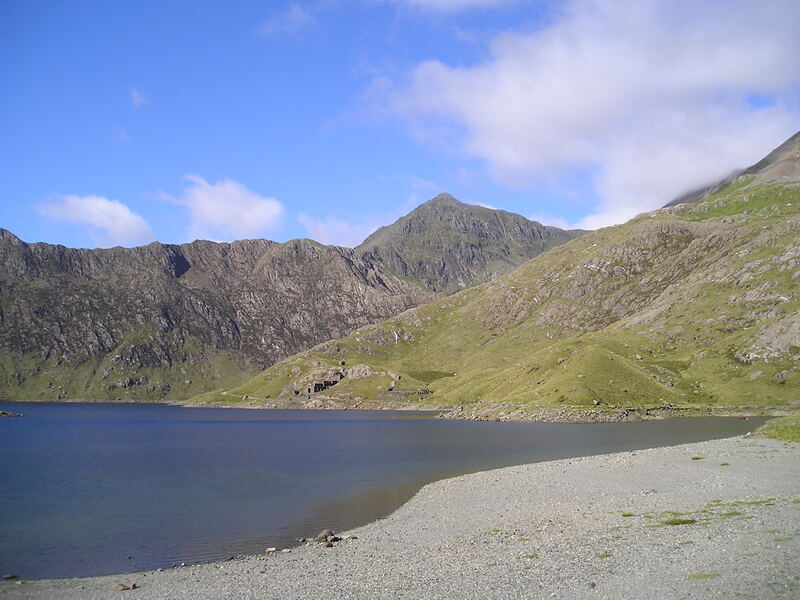 Arthur is said to have fought his last battle at Bwlch y Saetheau (the Pass of the Arrows), which lies between Yr Wyddfa and Lliwedd, where his knights lie resting on their shields in a cave on the face of Lliwedd; Arthur himself is said to be buried there. English invaders later named the mountain Snow Dun meaning “Snow Hill”, a name that is often quite appropriate, despite recent global warming. The weather can be harsh and unforgiving at times, and the 19th century miners who worked on the slopes below Yr Wyddfa must have been tough and hardy people. The lead and copper that they mined was destined to be replaced by a richer prize than lead or copper – tourism! Tourism can be a blessing and a curse, and this is certainly the case with Yr Wyddfa. Many would consider that one of the curses is the railway to the summit, and the café that followed. The café especially had attracted much negative comment in recent years, with Prince Charles describing the building as “the highest slum in Wales”. 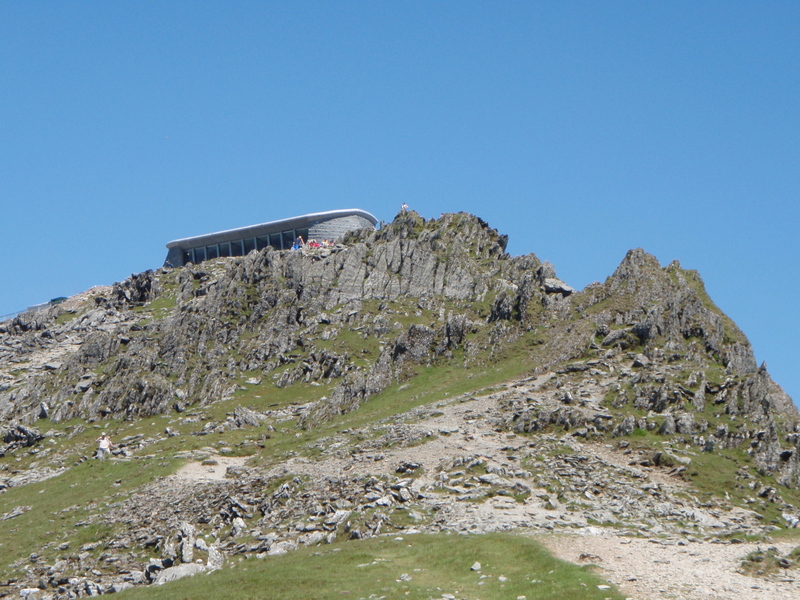 In Summer 2009 the replacement building, named Hafod Eryri (it means the “High Dwelling in Snowdonia”) was opened after a three-year demolition and re-build project. Many mountain lovers would say that there is no place for a railway and visitor centre on a mountain, especially in the UK. I agree in principle, but would argue that Hafod Eryri is a special case. The old summit café was in poor condition and had to go, but demolition and removal would have left scars that would have taken years to heal. The new building has been designed to fit into its environment, and does a reasonable job of that. Critics of the building should also consider the local people. 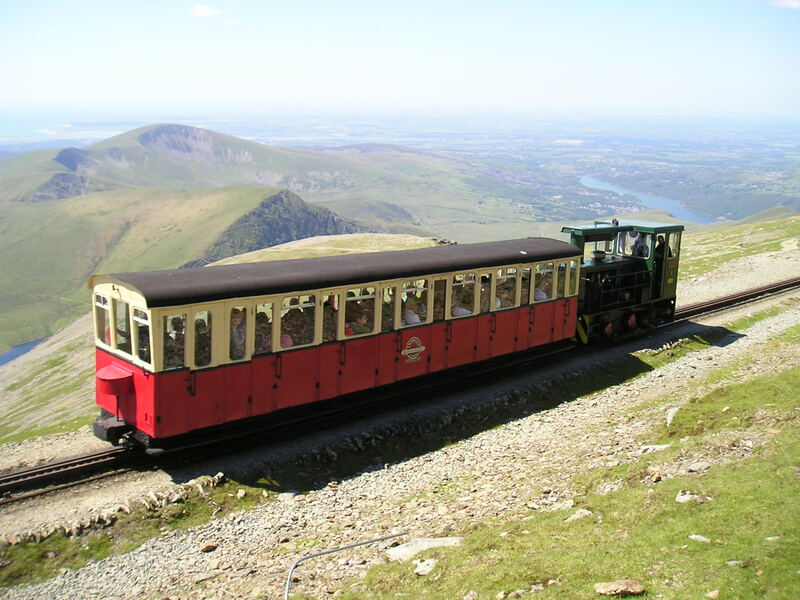 The railway and summit building are a huge tourist magnet for Llanberis and the surrounding area, and support many local workers and businesses. Also spare a thought for those who can only get to the summit by the railway – they have as much right to be there as we who walk. So, let Hafod Eryri stay. It takes more than a building and a railway to deface a mountain as magnificent as Yr Wyddfa. From the east it looks like the kind of mountain that a child would draw, sharp and pointy. 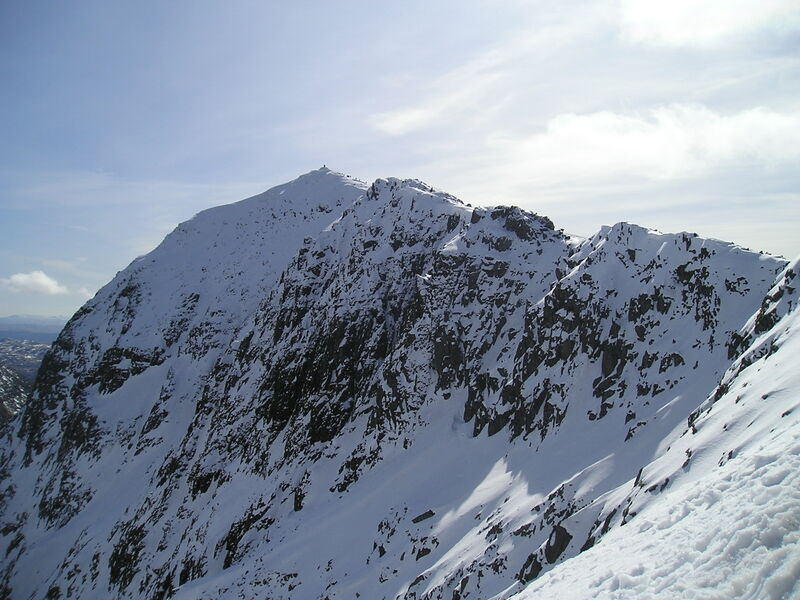 Six ridges radiate from the summit, each with its own character and difficulty. It would take several visits to get to know the mountain well, but Yr Wyddfa is a mountain worth getting to know. It’s a place of legend, a playground for walkers and climbers, it’s accessible to many who could never dream of being able to climb a mountain, and a source of employment in an area where jobs are scarce. On top of all that it is an icon of the growing self-confidence and sense of identity in modern Wales. It’s also one of the most beautiful mountains you could wish for. This entry was posted in 5. 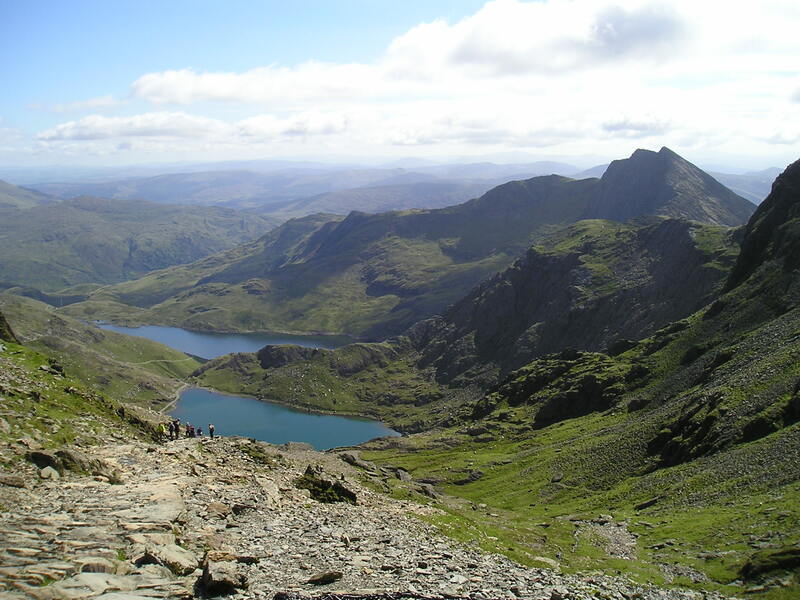 North Wales and tagged hillwalking, mountains, Snowdonia, Yr Wyddfa. Bookmark the permalink.